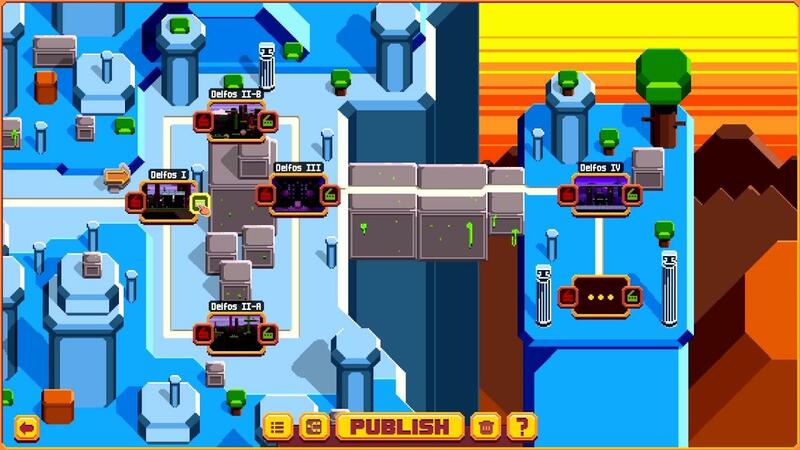 Million to One Hero from developer Over the Top Games is a promising looking platformer, one that will enable you to build your own campaigns. So it sounds quite similar to DASH, with a built-in editor that will give you quite a lot of freedom to build levels, drop in some story and bring it all together. I think it's great to see more like this on PC, especially for those with a bit of a creative side and for the younger audience too. New content every day thanks to the creation tools we provide. Levels of all types: skill, speed, puzzles. Create levels easily. There are also tools for the more advanced users: logic gates, quests items, character dialogs, sound fx, etc. Create your own adventure! Choose the world map, tell your story! Share your creations with your friends, receive votes, be the most glorious creator. Leaderboards that track your progress. Speedrun friendly. Official content: levels and adventures created by the devs and with a fun storyline and tongue-in-cheek humor. Linux support is fully confirmed by the developer but they don't seem to have a release date other than when it's ready. I'm following it along, so I will keep you updated. What's up with all the DASH wannabes huh! ;) Actually this looks very pretty, I like the overworld editor!